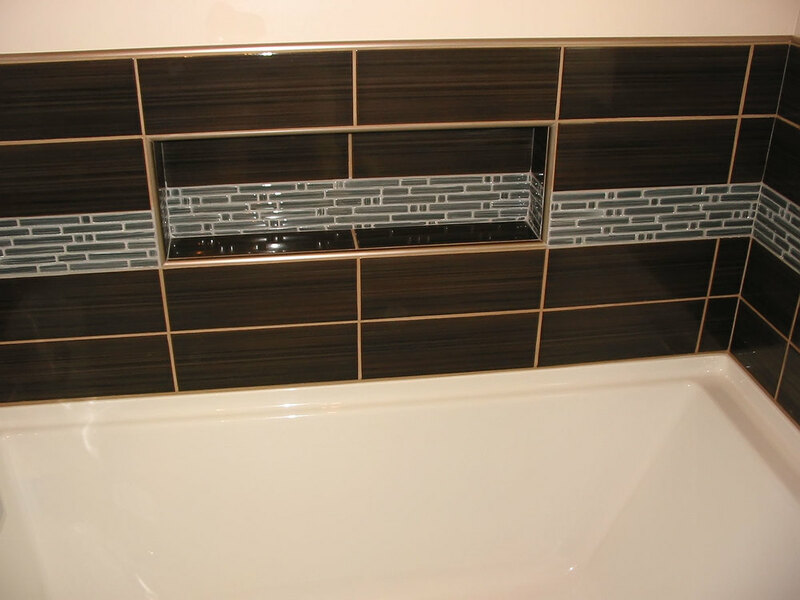 In this project, the main bathroom was completely gutted and two adjoining closets were taken over and added to the bathroom in order to gain space for a double-sink vanity and a built-in shower. 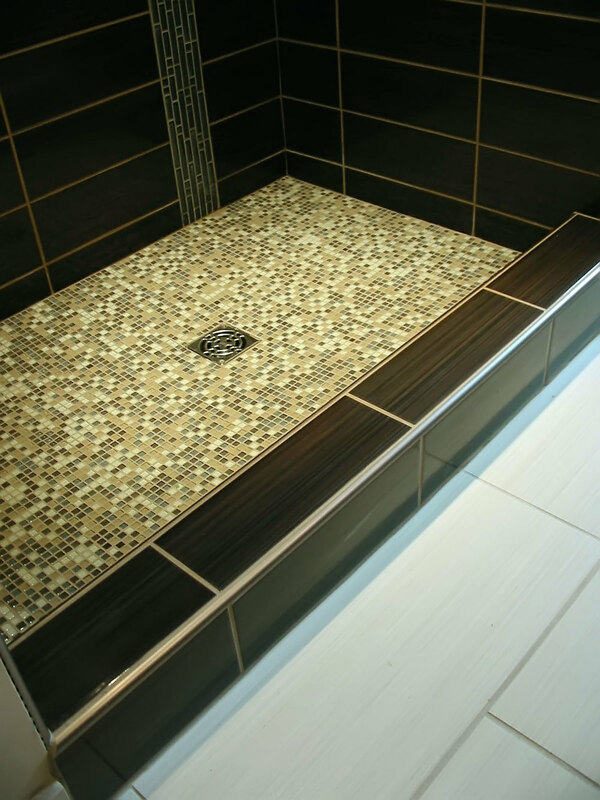 The shower enclosure, backsplash and tub surround feature niches, glass mosaics and metal trim profiles. The floor is heated.